Jurnal Pariwisata Pesona (JPP) is scientific publication journal which focuses in the field of tourism and hospitality industry. JPP is published by Diploma in Tourism, University of Merdeka Malang. 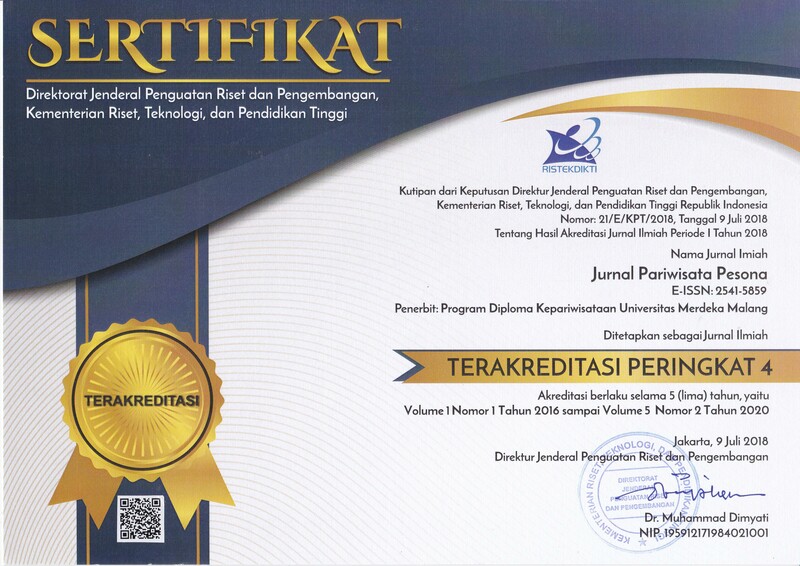 Since 2016, Jurnal Pariwisata Pesona has been nationally accredited by the Ministry of Research, Technology and Higher Education of Indonesia by the letter number 21/E/KPT/2018 on July 9th, 2018.